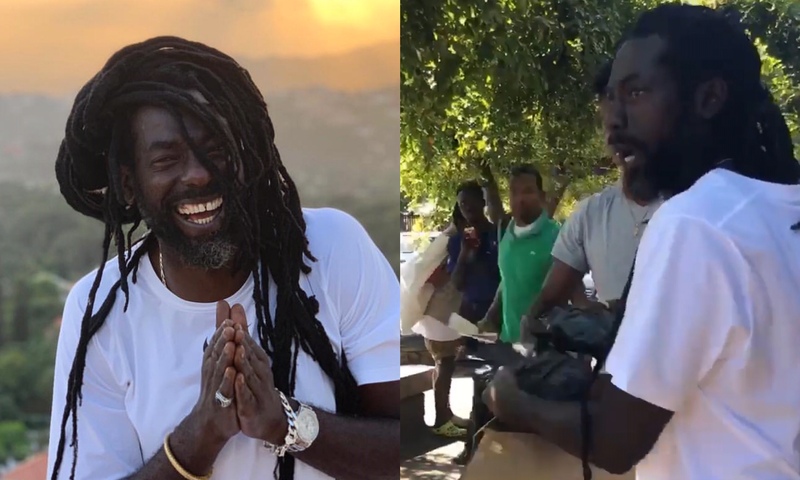 Just days after his historic Long Walk To Freedom concert in Kingston, Buju Banton is once again making headlines after a videos surfaced showing the Reggae icon doing charity work. In a videos uploaded on social media, the “Wanna Be Loved” singer can be seen handing out warm cooked meals to the homeless and less fortunate on Kingston waterfront and in other sections of the busy metropolis. The Grammy-winning entertainer ensured it was a genuine gesture with no fan fare or excitement. “What good is a blessing if it cannot be shared with others,” Buju wrote.